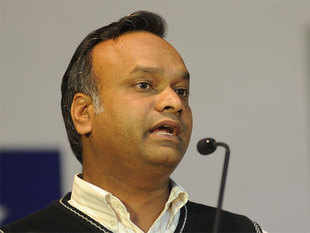 BENGALURU: After chief minister Siddaramaiah fought back use of Hindi at Bangalore Metro stations, his cabinet colleague, Priyank Kharge, who holds Information Technologyand Tourism portfolio, is taking the digital technology route to campaign for Kannada. His tourism department is funding nine startups that will work on tech solutions to promote Kannada and the state’s heritage and culture. According to Kharge, Kannada is among the four or five classical languages in the country. To address these challenges, the IT department picked up the startups under its Kannada & Culture category at the Elevate Call2 event last month. The tourism department will support each of them with funding ranging from 5 lakh to 35 lakh to develop the app as well as solutions. Kanaada Phonetics, a startup, for instance, is trying to address the keyboard board problem the minister mentions. It is developing one USB keyboard for all Indic languages. “Type as you say and read as the text flows” is the fundamental precis of Ka-NAADA keyboards, the firm says. Other startups are working on a variety of solutions which, if met with success, can solve a few challenges. Courseloka is developing an online platform to help outsiders learn Kannada with one’s own language. Suntree is building a programming language which will help Kannada students do coding in Kannada. Gnani is using AI to build speech to text in Kannada. And, Suntree is working on an app to help people learn classical music and Sower Pictures will come up with an app and a series of videos on Yakshagana. “As a Kannadiga, I am happy that our very special language, and our culture will go forward into the digital future, with safe hands guiding its growth and development,” the minister said. In future, the minister hoped, more startups would compete for funding in the Kannda & culture space, and assured the government’s full support to ensure preserving Karnataka’s plural and accepting way of life, and its age old language.